The powerful gene-editing technology is opening new horizons in biomedicine — and raising new concerns. CRISPR is a powerful gene-editing technology that scientists use to change the genetic blueprint of plants and animals and even humans. Since its development about 10 years ago, it’s been used to change the DNA of living things in beneficial ways — creating pink tomatoes and mushrooms that don’t go brown, for example, and crops that resist insect attacks. CRISPR (also known as CRISPR/Cas9) could also be used to create human “designer babies” with specific traits — for example, a specific eye color or possibly enhanced intelligence. Most scientists have scrupulously avoided pursuing this controversial line of research, although a Chinese scientist stoked controversy in 2018 when he claimed to have used CRISPR to edit the genes of twin girls before their birth in order to make them immune to HIV, the virus that causes AIDS. The name CRISPR is an acronym for “clustered regularly interspaced short palindromic repeats,” but you don’t need to understand that brain-boggling term in order to understand how CRISPR works. In short, it works by identifying a specific strand of DNA — for example, the genetic instructions that determine eye color — and replacing it by “cutting" the original DNA and “pasting” in replacement DNA. There are other gene-editing techniques, but they are slow and expensive in comparison to CRISPR. What used to take weeks or months can now be done in days with CRISPR. Some modern CRISPR gene-editing kits, consisting of a few petri dishes, pipettes and bottles of special proteins, are small enough to keep on a shelf in the fridge — and it can take as little as two days to see results. Beyond creating better crops and hardier farm animals, CRISPR offers the tantalizing prospect of revolutionizing human health by bringing cures for genetic diseases: “We are really on the threshold of a technology that is going to enable that … to treat it at its source, by correcting the code in the DNA,” Doudna said in a recent video. In a series of experiments conducted a few years ago at the Broad Institute, a biomedical institute of MIT and Harvard in Cambridge, Massachusetts, scientists used CRISPR to improve hearing in mice with a certain form of hereditary deafness. And in experiments at several University of California campuses published in 2016, researchers fixed defective bone marrow cells in a way that could offer a cure for sickle-cell anemia, a potentially deadly condition that affects an estimated 250 million people around the world. Scientists are also using CRISPR in an effort to wipe out malaria — by creating malaria-resistant mosquitoes, which would replace the wild populations of mosquitoes that spread the disease. 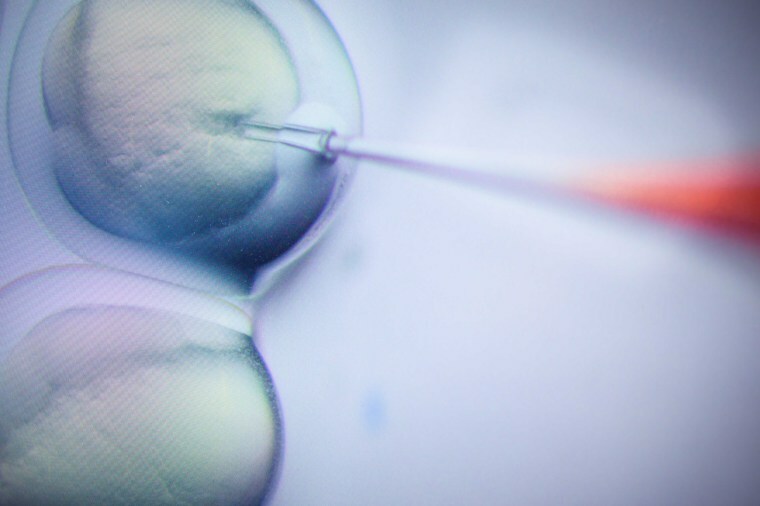 Though scientists see huge potential in CRISPR technology for treating human genetic diseases, they’ve generally avoided using CRISPR to edit the genes of human embryos, citing the potential dangers of the technology and the ethical issues that surround its use for that purpose. The actions of the Chinese researcher, He Jiankui, have drawn stern criticism from scientists and bioethicists, who called the work dangerous, unethical and even “amateur.” They point out that scientific knowledge of CRISPR and human genetics is far from perfect — and that the twin girls could suffer as they grow up from genetic problems created by the CRISPR editing of their genes.